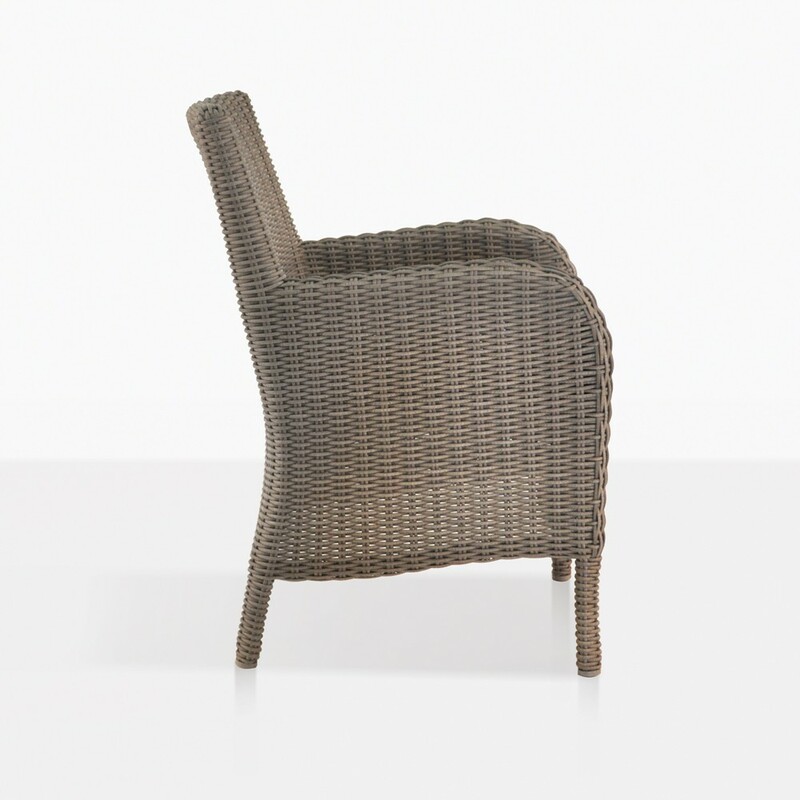 Relax at the dining table in our new Cape cod wicker dining chair. This armchair has the look and feel of total comfort, this chair also comes with a gorgeous seat cushion included in the price. 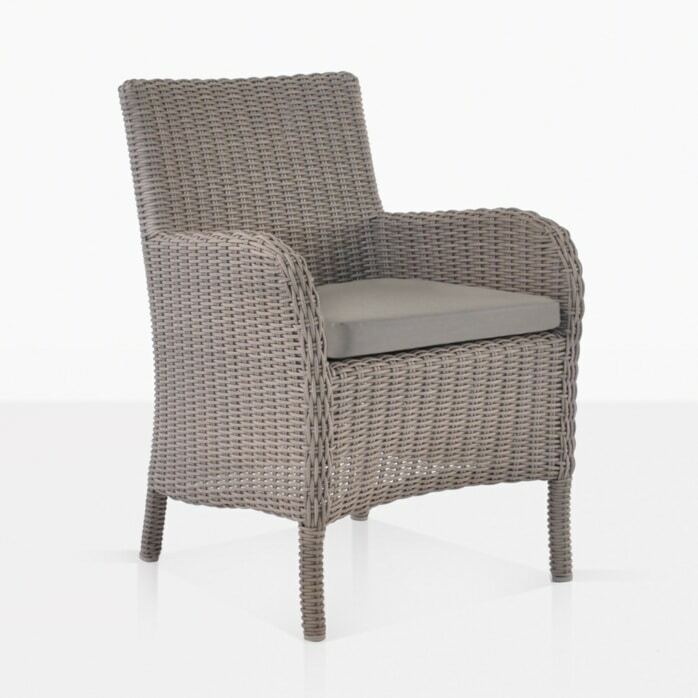 The Cape Cod wicker dining chair is perfect for that two seater dining table on the patio or around a twelve seater dining table in the garden. The low profile of this chair does not interfere with any fantastic garden or sea view you may have. 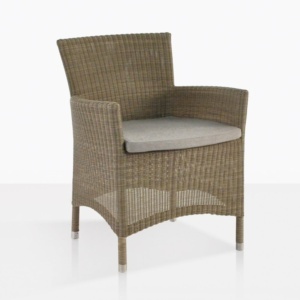 Come and try one of these very good looking chairs, new to the warehouse. All in stock for shipping or pick up, no assembly required and the cushion comes free of charge.